Height x Width: 10 in. x 15 in. Persian Stonecress forms handsome tight mounds of unusual deep blue-green foliage which is completely evergreen. The plant is covered with cheerful pink blossoms in late spring to early summer.Can seed out fairly aggressively. 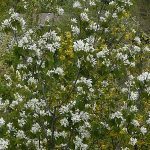 Height x Width: 6 -12 ft. x 3- 6 ft.
Serviceberry is a large erect shrub to graceful small tree. Lovely white blossoms in early spring, dark purple fruit followed by red leaves in fall. Pollinators: butterflies, bees. 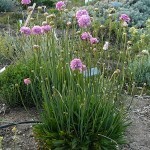 Littleleaf or Rosy Pussytoes is a very low growing, tight groundcoverwith pinkish “pussytoe” blossoms in late spring. 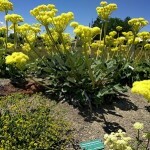 Spreads nicely around garden rocks and thrives in dry sunny areas with poor, well-drained soil. 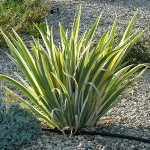 Retains grey-green leaves all winter. 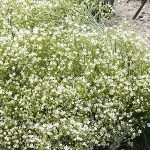 Height x Width: 1/2" x 6"
Amazingly tight, hard mats of silver-green triangular foliage are sprinkled with tiny white flowers in late spring. A fine and rarely available alpine from Spain. Exquisite rock garden plant, evergreen. Height x Width: 8 in. x 10 in. King’s Sandwort: Long, evergreen, grass-like leaves support a delicate spray of tiny white flowers in spring. Ideal for a rock garden or edging a pathway. 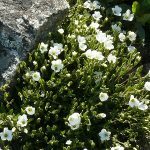 Mountain Sandwort is a classy little alpine or rock garden plant. 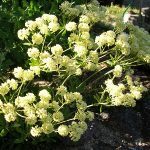 It forms a low evergreen cushion of dark green leaves, bearing loads of large white flowers during the spring and early summer. Great for edging paths, between flagstones, in walls or rock gardens. Evergreen. Height x Width: 6 in. x 8 in. 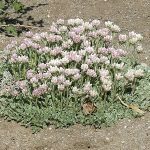 Thrift has pink globe flowers over mounds of grassy leaves. Deadhead for prolonged bloom. Evergreen foliage. 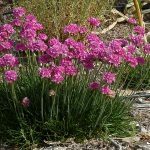 Height x Width: 10" x 6"
Taller and longer-blooming than its cousin, Thrift, this “False Thrift” is a colorful focal point in any garden. Evergreen foliage. Deciduous upright shrub or small tree usually with thorns, dense, good bird habitat, white flowers in spring, intense red color in fall. 10-15′ tall. Height x Width: 6 in. x 12 in. 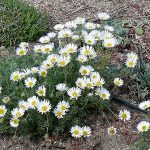 Cutleaf Daisy is a vigorous, long-blooming native Fleabane with dissected leaves and bundles of charming white flowers. Excellent for rock gardens or exposed slopes with good drainage. 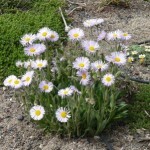 Beautiful Fleabane is a low-growing, early-blooming native daisy. Forms ever-widening patches over the years. Cheerful purple flowers attract pollinators. Height x Width: 12-18 in. x 12-18 in. Arrow Leaf Buckwheat has big oval, pointed leaves basal leaves with leafless stems of cream to yellow pom-poms overhead. Thrives in hot, dry and poor soils. Unusually large buckwheat. 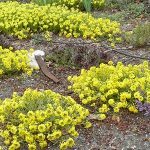 Whorled Buckwheat has leathery leaves which form a basal mat sending up brilliant white, cream color pom-poms in early summer. Likes well-drained soil. Boise foothills native. Pollinators: butterflies, bees. New! This mat-forming perennial growing naturally in rocky areas. 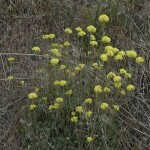 Yellow puff-ball flowers appear in summer with orange highlights later in the year. 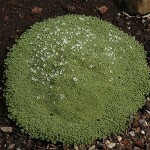 Gray foliage forms small clumps. Prefers sandy/gravely well- drained soils. Will not survive if overwatered. Not currently available. Height x Width: 6 in. x 18 in. 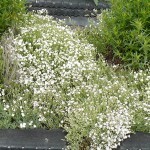 Creeping Baby’s Breath is a vigorous spreading ground cover, creeps around other plantings and falls down walls. Covered with a burst of pink or white blooms, late spring. Easy and rewarding. Height x Width: 18-24" x 18-24"
Grown for its striking foliage, this Iris also produces a lovely lavender flower in late spring. 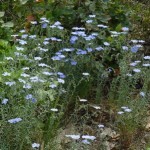 Height x Width: 1 ft. x 2 ft.
Lewis Flax, a vigorous native that produces masses of cheerful little blue flowers from late spring through mid-summer. Each flower lasts only a day, drops to the ground and is replaced by more the next morning. Charming. Pollinators: bees. Unusual and rare Penstemon with outstanding landscape value. 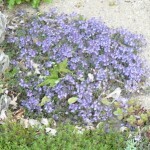 Low tufts of narrow, dark green leaves persist through the winter then erupt in purple flowers in early spring. Choice! 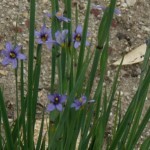 Showy spikes of purple-blue flowers in mid-spring. Flowers are huge and attractive to bees. 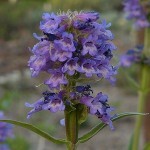 This early blooming penstemon sends up multiple stalks, each with numerous whorls of small tubular flowers. Widespread native. Height x Width: 8 in. x 8 in. 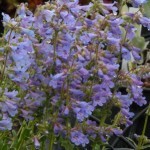 Blue Mist Penstemon or Front Range Penstemon is a dwarf penstemon, native to the plains and foothills of the Eastern Rockies, often growing in large colonies. 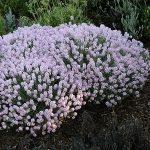 In late spring, dainty spikes of lavender-blue flowers rise over evergreen rosettes Likes dry, well- drained soil and is well adapted to garden conditions. Wax Currant is a dense native shrub well adapted to shade or part shade locations. Small pinkish white blossoms in spring. Good bird habitat. 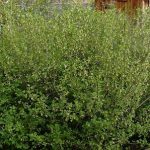 Dwarf Culinary Sage grows into a shrub covered with a dense mound of edible leaves. 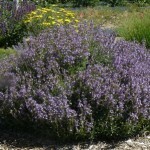 Covered with showy lavender-blue flowers in early summer, it becomes a magnet for honeybees. Unlike ordinary culinary sage, this dwarf form is completely evergreen, creating a beautiful gray-green mound in the winter garden. Tolerates clay and shade. 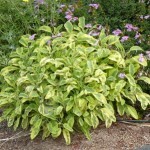 Height x Width: 2 ft. x 2 ft.
Golden Garden Sage is a variegated variety of culinary sage. 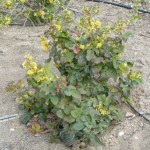 Attractive mounds of yellow-green leaves, highly variegated. Use in cooking like garden sage. Evergreen. 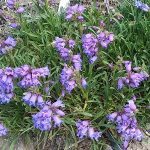 Height x Width: 6" x 10"
This cheerful little native wildflower produces dainty blue/purple flowers on grassy foliage. 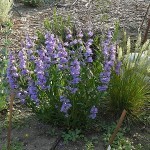 It prefers rich, moist soil in spring but tolerates summer dryness. Will gradually spread, creating a little ‘meadow’.